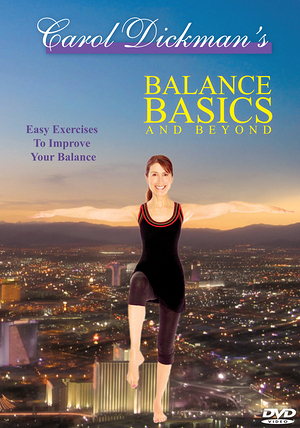 Yoga Enterprises Inc.'s latest release, Balance Basics and Beyond has established itself as a safe, credible and fun way for people of all ages to improve their balance. Shot entirely in Las Vegas, it offers four different balance classes with one especially scripted for the blind and visually impaired. Degrees of difficulty can be adjusted making it the perfect tool to continue using as balance improves. Recommended by Raquel Welch, it also includes balancing tips and a motivational sequence.